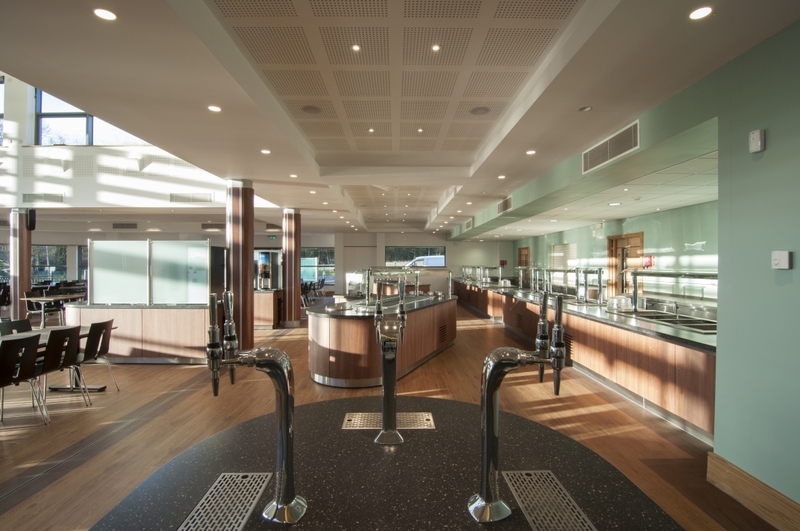 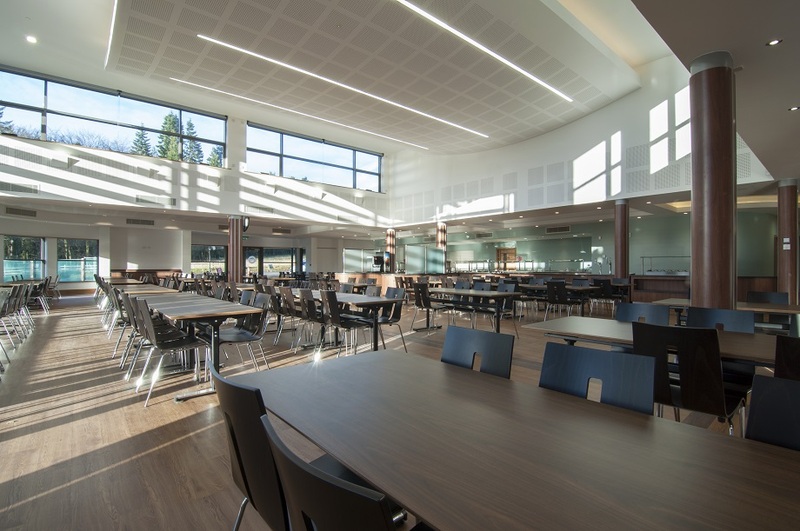 In November 2012 the new purpose built Dining Refectory at Stonyhurst College was formally handed over. 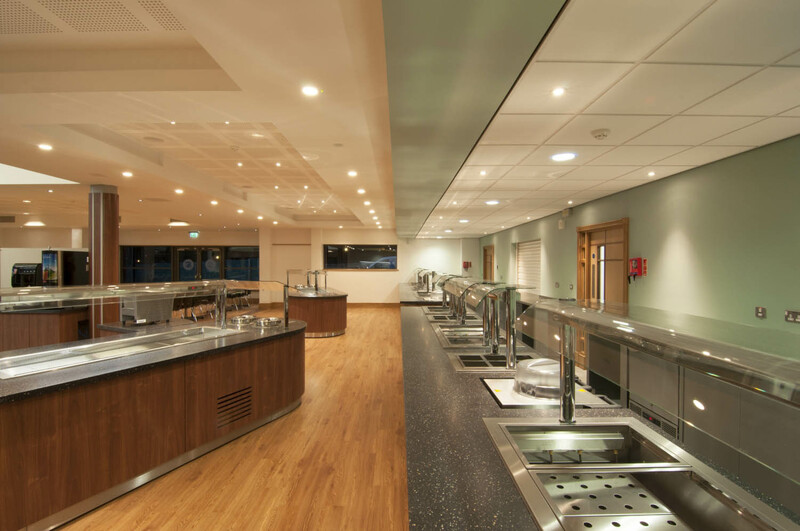 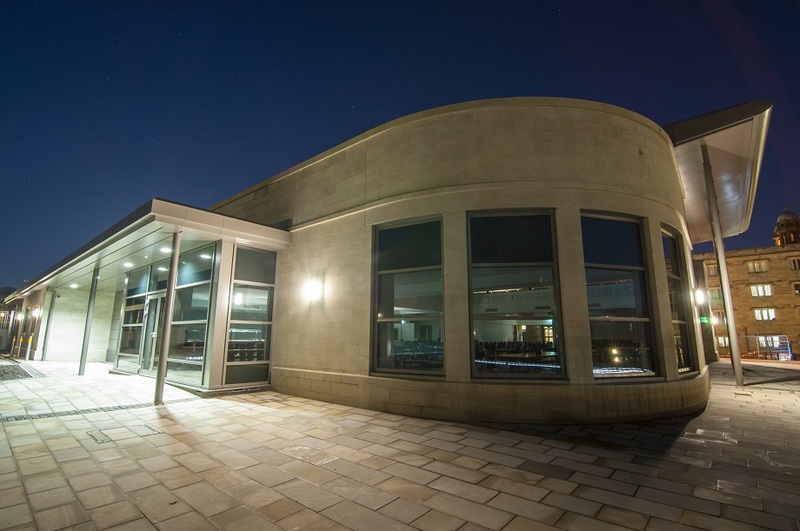 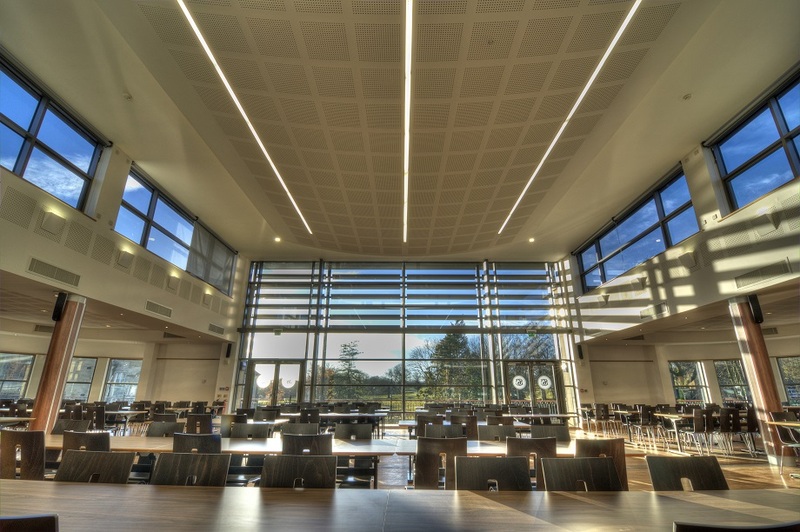 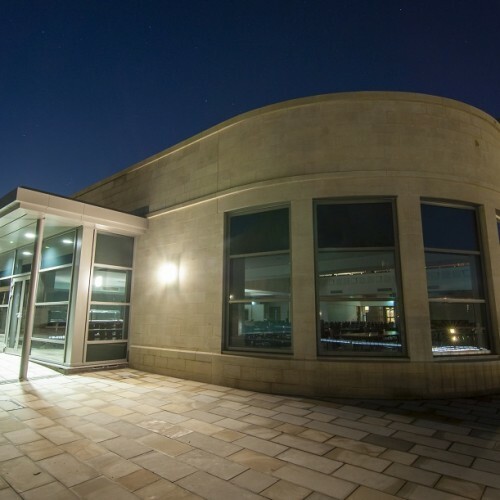 The works were necessary in order to upgrade the catering and dining experience, and to create a separately identifiable building to meet the 21st Century needs of the College. 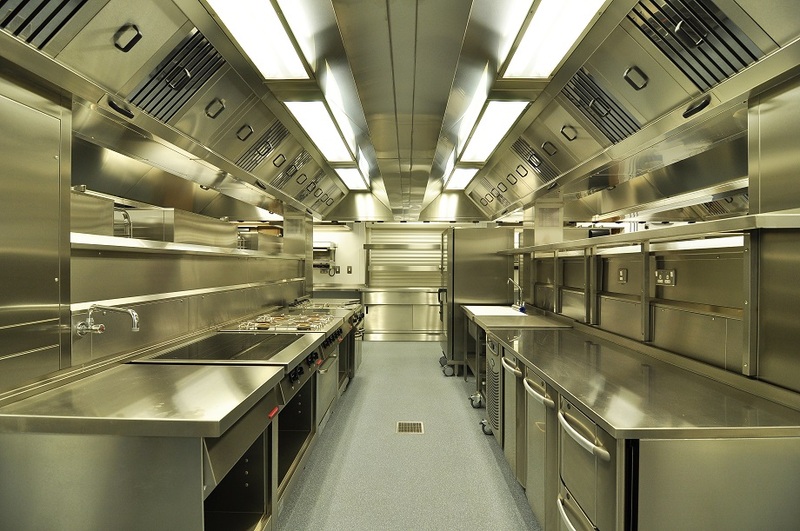 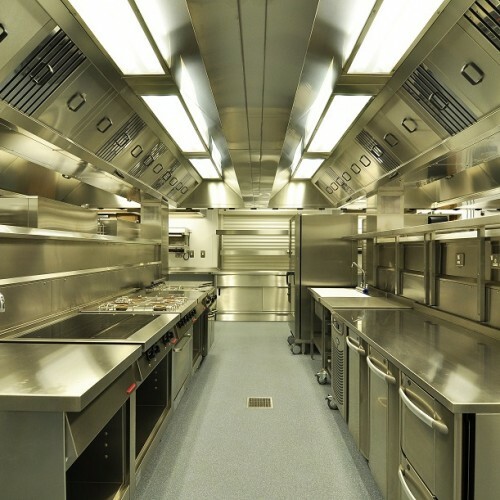 · New state of the art kitchen facilities with the necessary storage and support areas. 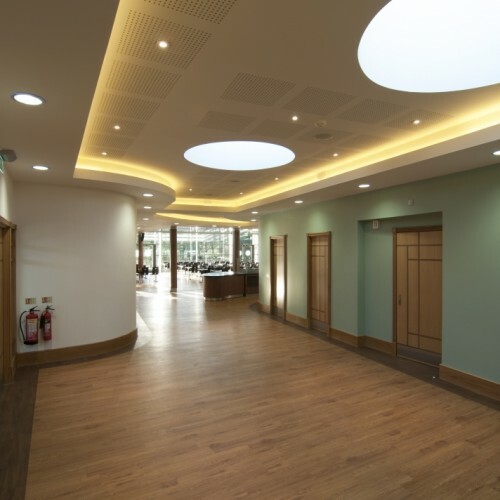 · Changing facilities for staff. 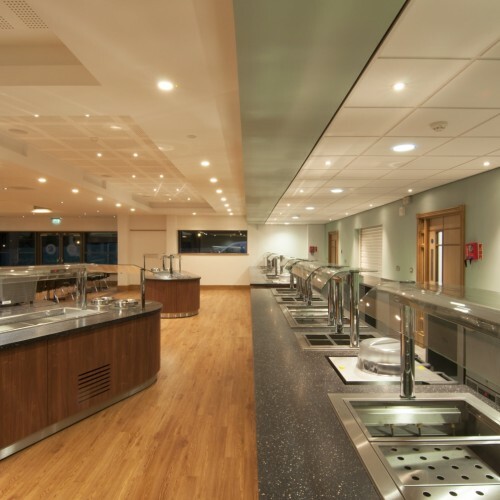 · Toilet accommodation for pupils. 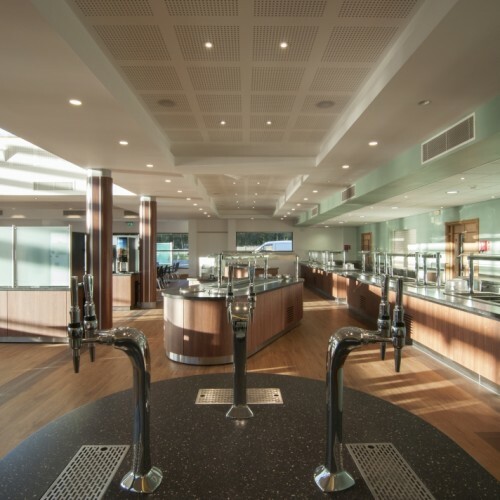 · A multi-purpose space for teaching, dining, games, teas, etc which will also provide an area for cloaks storage should a function take place in the new dining facility. 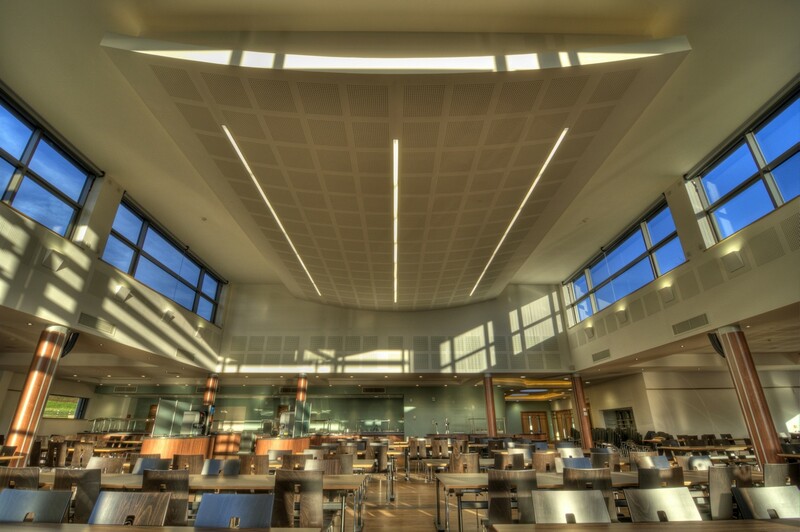 The building is sited on a recently cleared site immediately adjacent to New Wing and overlooking the recently completed Weld House Sixth Form Accommodation. 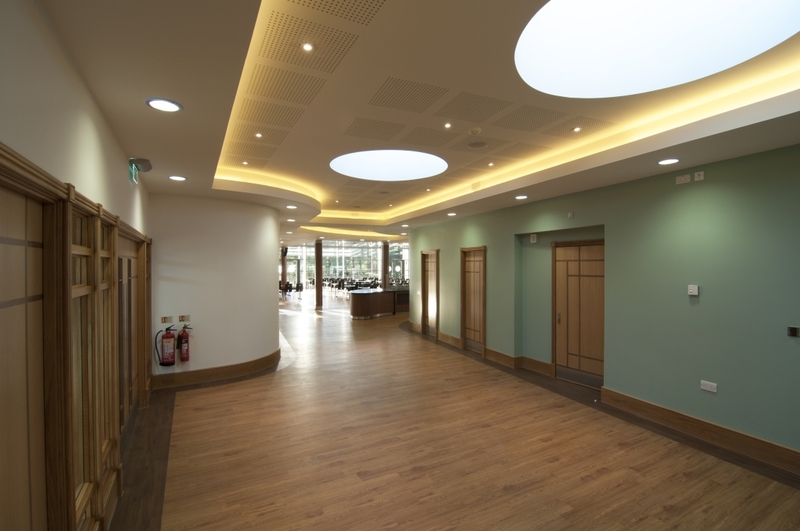 The opportunity to add a new building within the context of a Grade I Listed frontage was a challenge, but also an exciting opportunity. 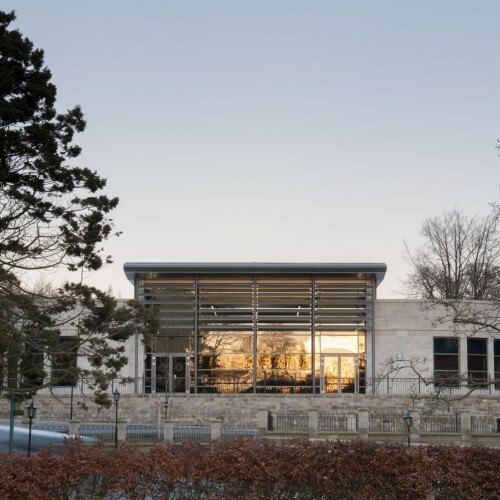 Throughout the development of the proposals significant consultation has taken place with English Heritage to determine an appropriate elevational treatment for the proposed building. 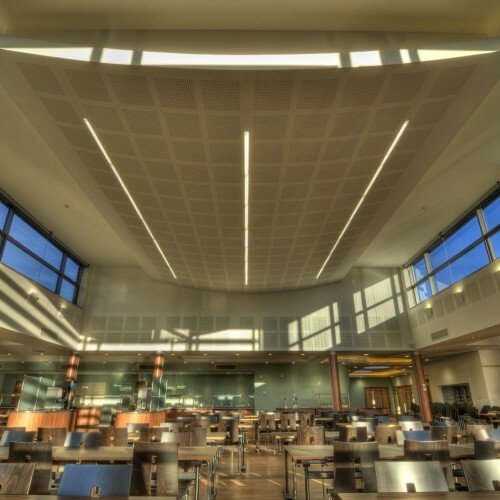 The building design is contemporary in nature, but softened by the use of appropriate materials. 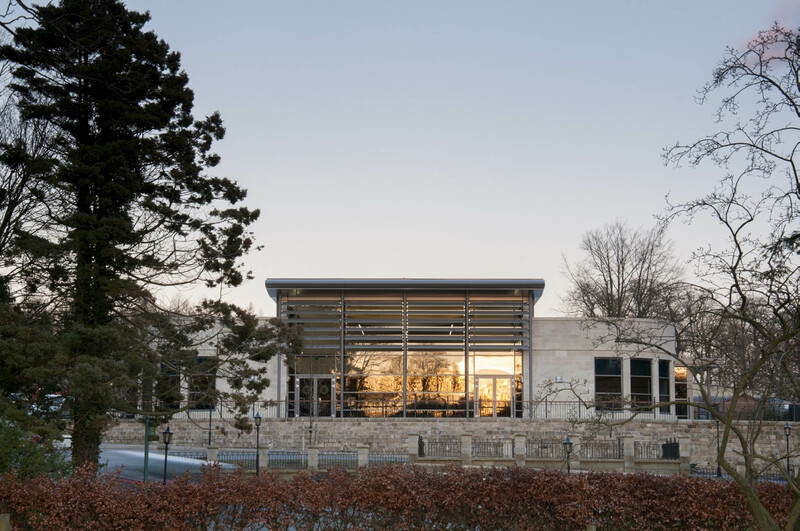 It comprises mainly sandstone to match that of the buildings immediately adjacent to it, and fits with the general materiality of the College. 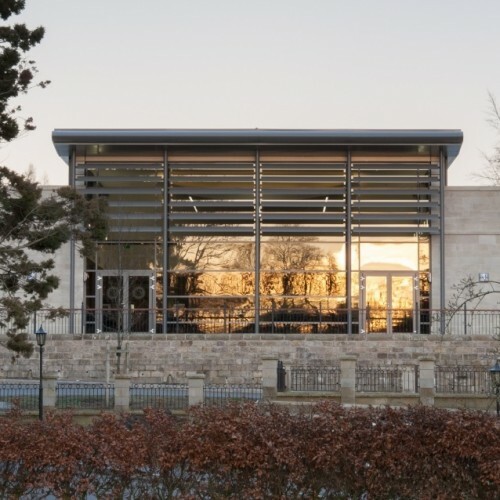 Zinc and aluminium panels are unashamedly modern, but their tonal qualities are resonant of the slate that is used elsewhere, and are an appropriate foil to the yellow sandstone. 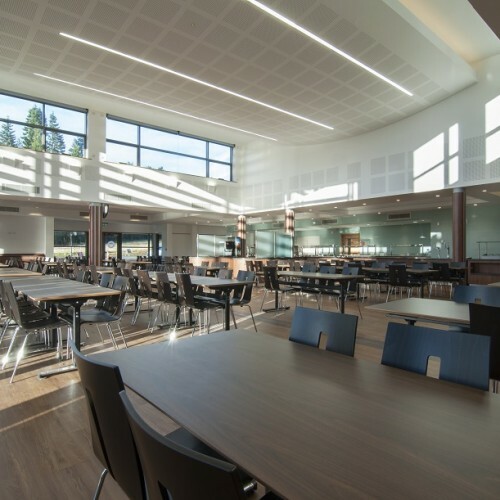 The landscaping around the building also raises the opportunity of external dining with westerly views looking over the canals and western approach to Stonyhurst College. 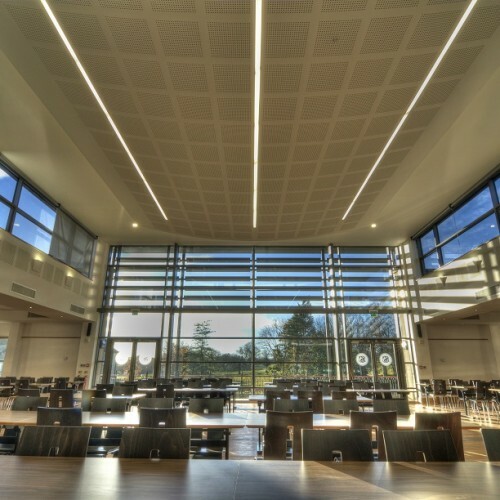 Whilst this building has an impressive visual impact on the setting of Stonyhurst College, the necessary works were considered to be minimal, and do not significantly affect the overall visual appearance of Stonyhurst College.